It's All About The Journey .... Welcome to 06906-Glenbrook! Central location, vintage charm, lots of housing options, commuter friendly â€“ just some of the reasons residents choose to make Glenbrook their home. Bordering Darien to the east, Springdale to the north, Cove to the south and downtown Stamford to the west, many of the tree lined streets are within walking or biking distance to the train, restaurants, schools, shops and Stamfordâ€™s vibrant downtown-or a very short car ride. Truly a small suburb of Stamford! In 1866, Joseph Whitton purchased a 20-acre tract in New Hope, as the area was originally called. The New Canaan railroad was built five years later, passing through the center of Whitton's land. Whitton laid out streets, including Cottage Avenue, Union Street, and Railroad Avenue. In the 1870s, New Hope residents decided they wanted a name more pleasing to the ear and came up with "Glen-Brook." 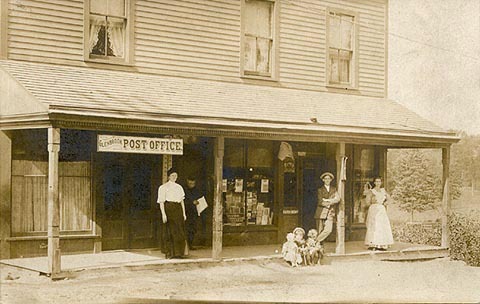 Until the 1960s Stamford's now large neighborhoods, like Glenbrook, were often looked on as individual, unofficial towns, and residents would write their mailing addresses using the name "Glenbrook, Conn." instead of "Stamford, Conn." In the 1950s, the train station was moved from a spot near the Courtland Avenue overpass (on the New Haven line) to its present location a bit to the northwest on the New Canaan line. The area became very popular in the 1930â€™s and 1940â€™s and many homes were built during that era. The vintage charm of these homes resonates for todayâ€™s buyers, who love the details and quality of that period. Living close to the city center is also making a comeback for people who want conveniences within armâ€™s reach and not the maintenance and additional expenses that come with living on larger lots in more remote locations. If living in single family home isnâ€™t your cup of tea, Glenbrook offers many other options for a lifestyle that might suit your needs; townhomes, condominium complexes, and rentals ranging from new construction apartment buildings to flats in multi-family homes are also available. 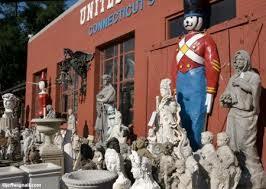 If you want to search out unique items to decorate your living space, take a trip to United House Wrecking, which has become something of a Stamford institution. Conceived as a demolition business, United House Wrecking started collecting old bricks, lumber, odd doors and leftover pieces of furniture from homes that were, shall we say, â€œpassed their primeâ€. This popular and distinctive store is located on Hope Street in a 43,000 square feet emporium filled with salvaged antiques, architectural remnants, and more recently, new furniture and custom made items were added to the mix. Itâ€™s been at the Glenbrook location since 1988 and attracts customers from far and wide who like to browse the immense space in search of the perfect find. If youâ€™re a NYC commuter, Glenbrook is certainly on your list of places to live in Stamford. 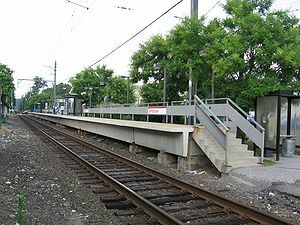 The New Canaan Branch of Metro North stops in Glenbrook and has direct routes to New York Cityâ€™s Grand Central Terminal. Five thru trains leave Glenbrook each weekday morning starting at 5:45 am and in about 50 minutes you will arrive in Midtown. There is also quick and easy access to I95 to the South and the Merritt Parkway to the North. If you enjoy contributing to the community, consider joining The Glenbrook Community Association. This active association has organized fundraisers, neighborhood restoration projects, after school activities, preschool, summer camp and Internet webpages to keep you informed of all thatâ€™s going on in the community. Since 2000, the Glenbrook Neighborhood Association has held an annual block party popular in the neighborhood. The free event features food, games, a raffle and music. The association raised money in 2006 for a small park on Hope Street. A fun fact - in August 2007, scenes for College Road Trip, a Walt Disney film released in 2008, were shot on location in one of the Queen Anne style homes of Glenbrook. When youâ€™re considering where to live in Stamford, take a look at Glenbrook; a neighborhood that harkens back to the lifestyle of yesteryear with a renewed appreciation from the newest generation of homeowners.